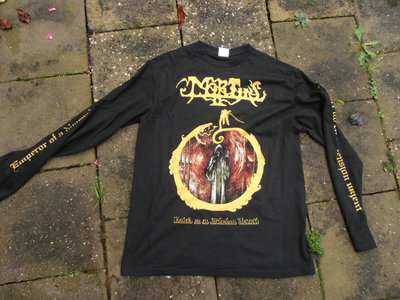 After we made official Vond longsleeves some time ago, we are proud to announce our cooperation with Mortiis continues and it's now time to delve into his main band. For the first time in decades (!) 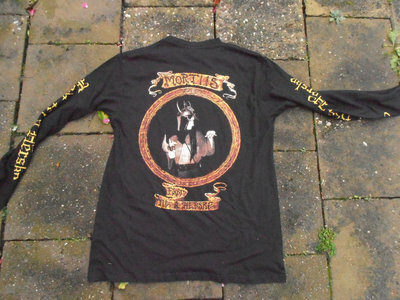 I am proud to present merchandising around the classic "Era 1" of Mortiis from Norway. This truly legendary and genre-defining era does not need an introduction, so we'll get right to it. 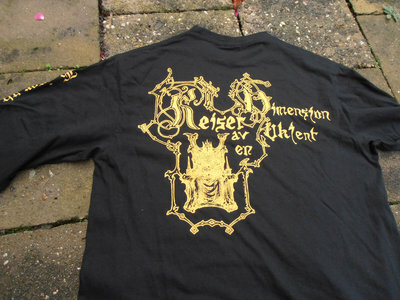 First up is "Keiser av en dimension ukjent" longsleeve. A preview of the design can be seen here. With the design I wanted to pay tribute to the old existing merchandise made in the 90s, so don't expect fancy modern designs with heavy Photoshop editing, but a basic and old school, yet majestic layout. Expected to ship last week of May or first week of June. Price: 25 euro + postage. Email to info@heidenshart.nl to pre-order. 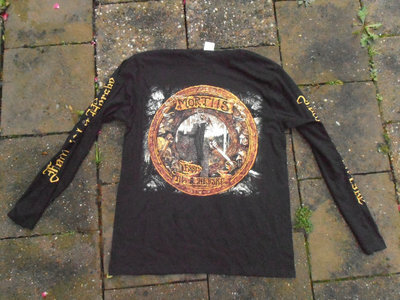 And yes, more Mortiis - Era 1 merchandise will follow later. 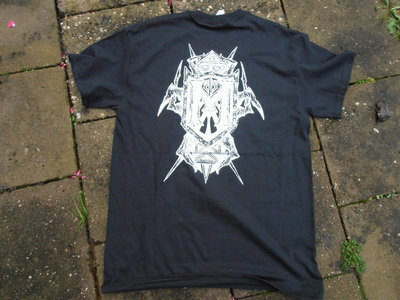 Few copies from Vond - "Selvmord" longsleeve still available in sizes S, M and L.
Baphomet will like this, I'm thinking. 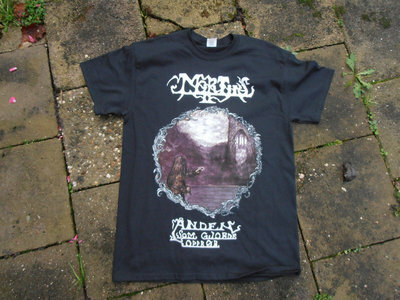 New Mortiis merchandise out now! Three new designs with the brand new drawings for the re-releases of the Era 1 albums. As always, designed and produced by Heidens Hart in close cooperation with Mortiis. All designs feature the iconic new cover art in full colour and many re-drawn pieces and titles. Comes once again on high quality B&C textile (longsleeve) and Gildan (t-shirt). Available now! Order at https://heidenshart.bandcamp.com/merch or email directly through www.heidenshart.nl for lower prices without fees. Old school style posterflag with the original "Ånden som gjorde opprør" design. Only 50 available here. As always, massive thanks for the support!